We've got lots of goodness going on right here....after the cut! Ok, let's start with Payton. I want to write a love song to Payton. The color is gorgeous. 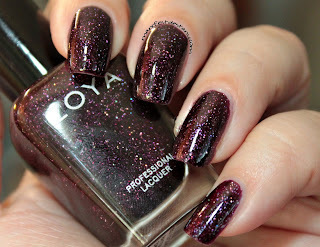 A deep cranberry packed with scattered holo glitter. 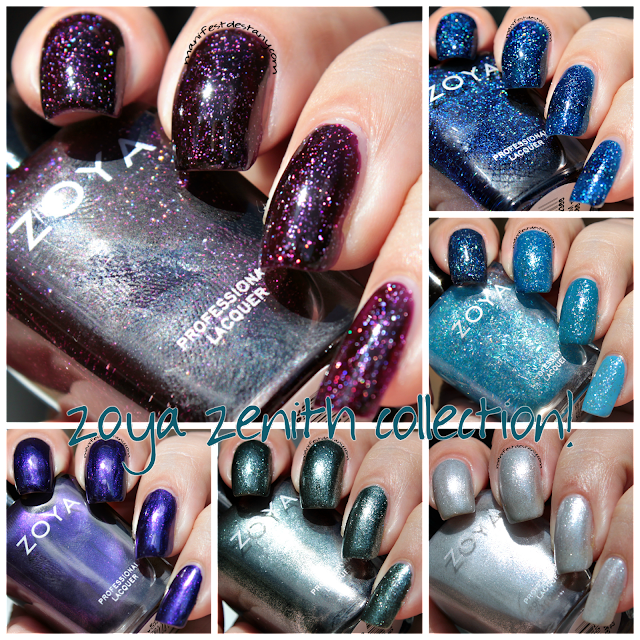 I love Zoya's scattered holos. In case you missed it, I did a gradient with them :) But back to Payton. 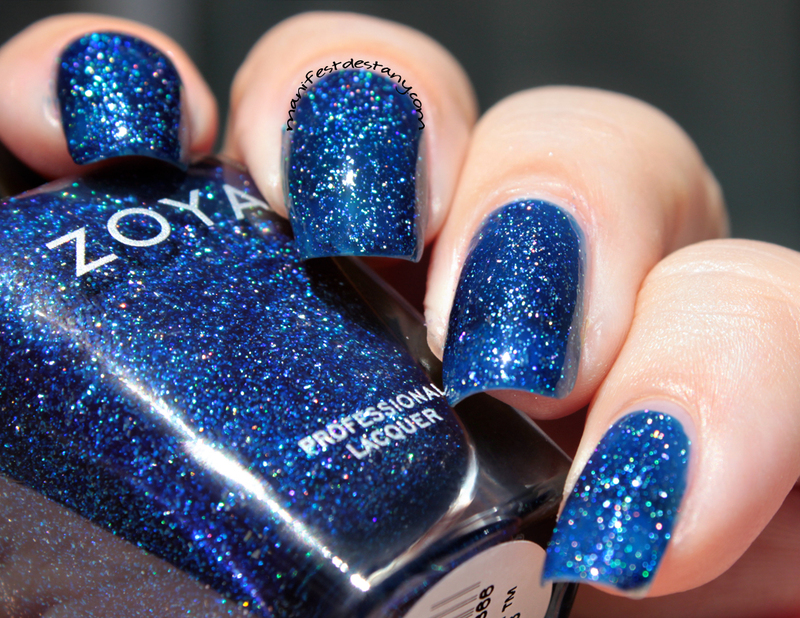 This color is magical. I just couldn't quit staring at my nails. Below are three photos in full sunlight and a fourth taken inside with natural light. Two coats. And now on to Seraphina! 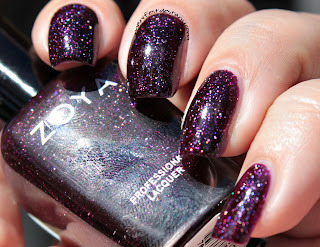 This silver shimmer is a little on thin side, but builds up quite nicely in two coats. I didn't have any issue with this polish, but it seems kind of plain. Like it's screaming for a glitter topper or something. It would make a nice base for nail art. Now Belinda, on the otherhand, is all kinds of loud! :) Such a vibrant purple! 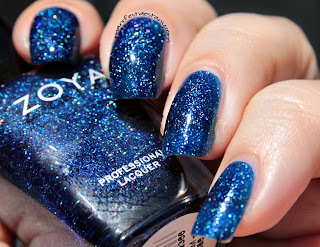 You can see the red and blue shimmery sparkles running through the polish. This was a one-coater for me. I think Cassedy is extremely unique. It's grey. But then again it's green, and sometimes blue. It REALLY picks up on what's around it. Here it looks vaguely dark teal, right? I LOVE it. 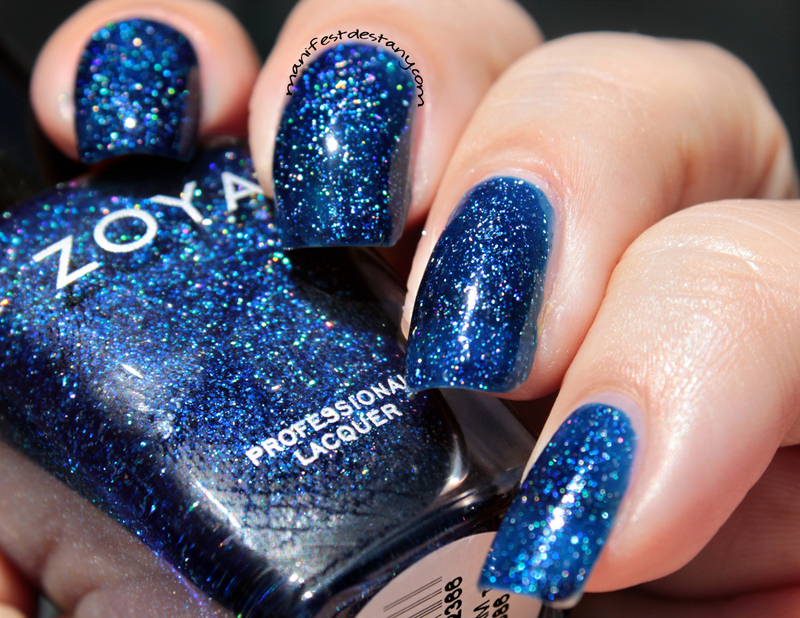 It's kind of a color-changing polish - oh, and it's a one-coater. 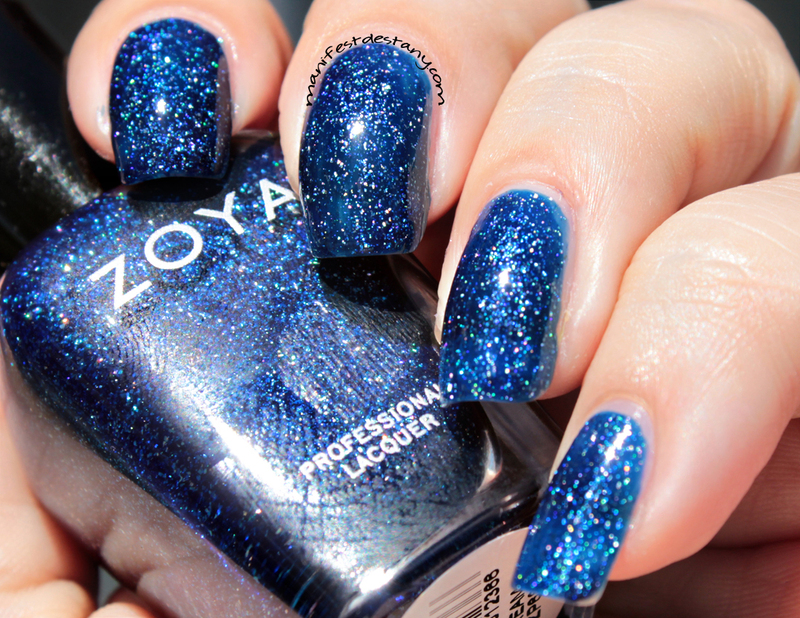 And lastly, Mosheen - a blue flaky-ish top coat. I swatched this one over several Zoya blues - Sailor, Tallulah, Breezi and Yummy. It's very cellophane-like on it's own, so I figured this would be a best way to see it :) It was a little goopy, but spread out easily. It took three coats to build up what I've got pictured. I think I like it best over Sailor.